Bad Hair Day? 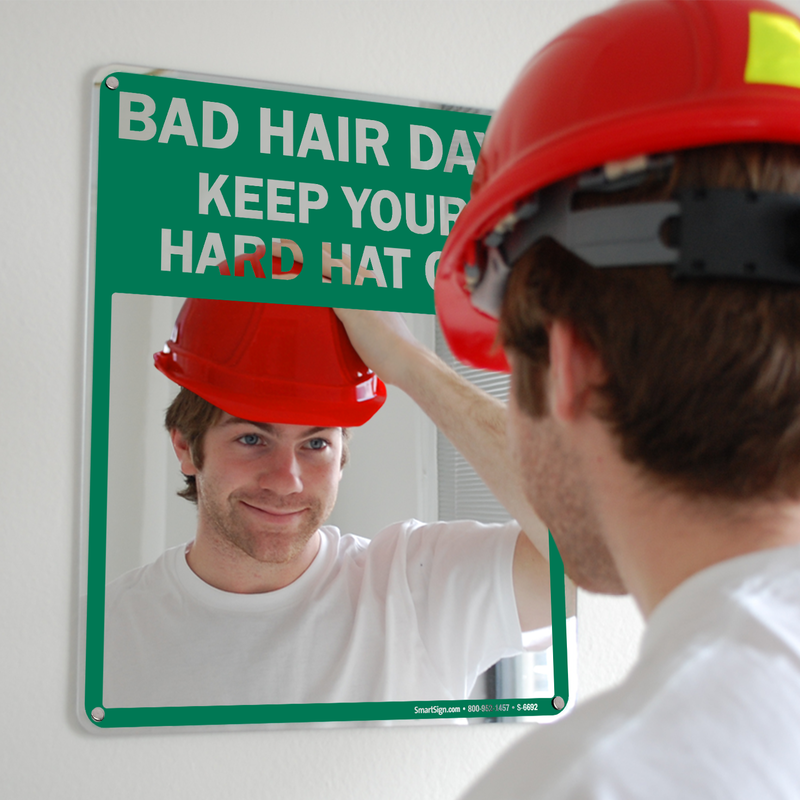 Keep Your Hard Hat On! Use a "Bad Hair Day? Keep Your Hard Hat On!" 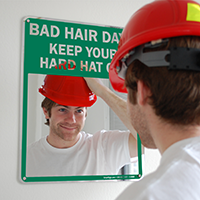 Mirror Safety Message Sign to remind workers to wear their Hard Hat to prevent their hair from damaging. This Clear sign gets the message across. • Constructed from a 125 mil (1/8") thick heavy-duty acrylic substrate that is impact resistant (5 times as strong as traditional glass), essentially making them shatterproof. • The hard-wearing aluminum coating is capable of reflecting precise images that are undistorted like a mirror. • Signs are UV stabilized to prevent yellowing when subjected to direct sunlight and have a working temperature range of -40° to 180°F. • Text and graphics are screen printed providing a glossy finish with vibrant colors that are highly resistant to chemicals and abrasions. 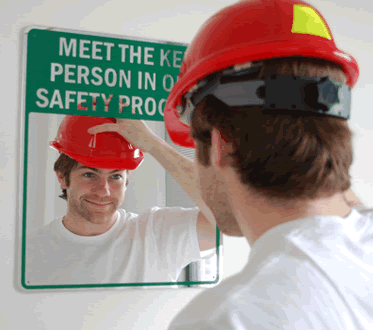 • Signs have four holes for rapid installation onto any flat surface. • The acrylic material satisfies UL 94HB Standard for Safety of Flammability of Plastic Materials.